Eden Health Foods is here to shake the waters of the food supplements industry. Food Supplements can be very beneficial to one’s dietary habits, but the problem wit the food supplements that are around is that they are not always made by the best ingredients. Most of the times you may find unwanted ingredients and unhealthy nasties in the food supplements that are not the best for your health or your family’s health. Eden Health foods is here to change that! With natural ingredients you can now enjoy the benefits of food supplements with no fear of unwanted ingredients and unhealthy nasties. And healthy does not immediately mean weak. Eden Health foods products are made with an aim to change your life for the better and that comes with extra power and a boost to keep you strong throughout your day, week and life in general. Healthy food by Eden Health foods is here to change your everyday meal prep and diet for the better. The science behind Eden Health Foods products is nothing short of brilliant with a lot of work put behind them. The products are results of studies end engineering that strive for innovation in the food market. 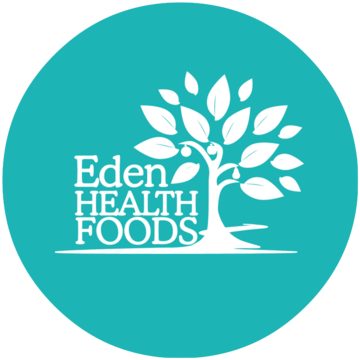 Eden Health Foods products use traditional ways and processes such as bio-fermentation and mixing different ingredients to achieve the best results possible for every product individually. The company itself wants to aim to the benefits that their products can offer to the consumers. Our lives have become stressful and very fast and sometimes our nutrition is the last thing we think about when it comes to our daily routines. With more foods becoming more convenient to get, faster to consume and nastier to our health we are in desperate need of better nutrition and solutions that can make our diets richer and more beneficial without compromising our time or take a lot of effort. Food supplements are a great way to enrich our diet but it is important to know what we put in our bodies and feel confident that we are fuelling ourselves with products that are good for us.